Of all the forms of divination used by ‘new agers’, Tarot is the one that provokes the strongest reaction in people. They seem to instinctively love it, hate it or be frightened by it. How can a deck of cards produce such feelings? Tarot is the name for a deck of cards. The deck consists of 78 cards, including 21 trumps, 1 fool and four suits – each having 14 cards (ten numerical and four face cards). The suits have one more face card each than in standard English or American card decks. 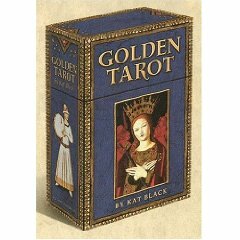 In Europe, card games like ‘Italian Tarocchini’ and ‘French Tarot’ which use the Tarot deck are still popular today. These are ‘ordinary’ card games in the ilk of poker or whist. In English speaking countries, these games are pretty much unheard of and Tarot cards are used as a form of divination. Where does the name ‘Tarot’ come from? Here is one of the first mysteries of the Tarot. No one knows where the word comes from. Some say that it is from an Arabic word ‘turuq’, meaning ‘four pathways’. According to the French, the word comes from an Italian word ‘tarocco’, which was derived from the word ‘tara’. This means ‘the act of deducting’. Even the history of Tarot is mysterious. The truth is that it isn’t known when it first appeared. Some say the cards go back as far as Ancient Egypt. Others say they started in the Middle Ages. Some even say that they came from a Celtic and Pagan source. It is known that playing cards first appeared in Europe some time before 1367. This is because in that year, they were banned by the Christian church. Early European texts describe a deck of playing cards as having 52 cards. Even earlier decks had 14 cards per suit, giving a total of 56 cards. It is thought that the Tarot deck was the result of adding the 22 trump cards to this early 56 card deck. The oldest surviving tarot decks were all made for members of the Italian Visconti family. The first is called the Cary-Yale (or Visconti-Modrone) Tarot and was made between 1442 and 1447. These cards are in Yale University Library. The most famous surviving deck, the Visconti-Sforza, was created in the mid 1400’s, to celebrate the rule of Francesco Sforza and his wife, Bianca Visconti, over the city of Milan. This deck has been widely reproduced so it would be easy to get hold of your own ‘antique’ deck. When used as a tool for divination, the cards are laid in a spread. There are various spreads, from a simple ‘past, present and future’spread of three cards, to the more complicated ‘Celtic Tree of Life’ and so on. When used for this purpose, the cards are divided into two groups called the Major and Minor Arcana. This is the group containing the first 22 cards of the tarot deck. These 22 cards represent the 22 major challenges that a person will face in their life. They are often interpreted as describing the normal progression of a life, and will often show where a person is along their journey, or if they have lost their way. This interpretation is often called the “Fool’s Journey”. It is possible to do a Tarot reading using only these Major cards but this is best left to those with experience. Beginners should use the whole deck to get a fuller picture of the situation and to familiarize themselves with the cards. Each Major Arcana card has a meaning for its’ upright position as well as a meaning for it being placed upside down (reversed). However, some Tarot readers don’t use reverse meanings. The Major Arcana cards are the Fool, the Magician, the High Priestess, the Empress, the Emporer, the Hierophant, the Lovers, the Chariot, Justice, the Hermit, Wheel of Fortune, Strength, the Hanged Man, Death, Temperance, the Devil, the Tower, the Star, the Moon, the Sun, Judgement and the World. The Minor Arcana is the group of the last 56 cards of the tarot that come after the major arcana. These cards are similar to a set of traditional set of playing cards because there are four suits and 14 cards to each suit. The 4 suits of the Minor Arcana are as follows, with their associated element. The face cards also have an associated element. There is also a brief representation for each suit, which is subject to change or emphasis. Wands (also called Staves, Rods or Batons), element Fire (King cards are fire too), Class: peasantry, to do with creativity and will. Pentacles (also called Coins), element Earth (Page cards are Earth too), Class: merchants, to do with our earthly body or material possessions. Cups (also called Chalices), element Water (Queen cards are water too), Class: clergy, to do with our emotions or love. Swords, element Air (Knight cards are air too), Class: the Nobility or Military, to do with reason. The Tarot reader has a wealth of interpretation at their fingertips. There are numerous books on the subject, with meanings for each card. However, the bottom line is that all Tarot readers read differently. Some stay strictly to the ‘book’ definition but most commonly, readers allow the card to be the ‘jumping off’ point and then read intuitively, many saying that they have spiritual help. Why do they scare people? It could be to do with the Major Arcana cards of Death, the Hanged Man and the Devil. In reality, these cards can’t be taken at face value. For example, Death is quite a positive card and is viewed as an ending prior to a new beginning, rather than to death itself. It could also be because Englishman Aleister Crowley (1875 – 1947) one of the most notorious occultists of his day, was involved with Tarot cards as well as many other endeavours, some more dubious and disturbing than others. This is just a quick round-up of what the cards are. What they do is the subject of many books, websites, discussion forums and articles. 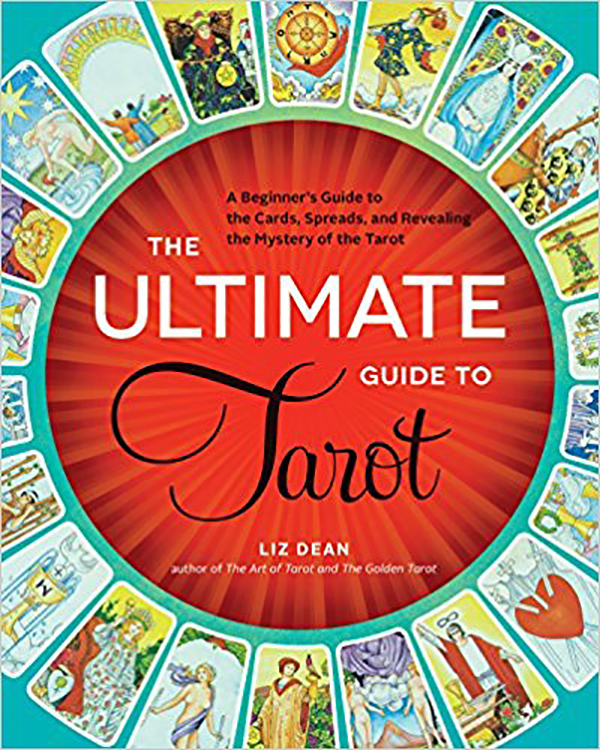 If you feel drawn to the Tarot, why not get a reading (try for someone with word of mouth recommendation) or get yourself a deck and a simple beginners book. The Empress Tarot system is designed to help you understand your tarot cards Click Here! . Take your time in choosing your deck as it will become very precious to you and should be treated with respect. Many readers say that you should not buy your own deck, but get someone to buy them for you. Keep your cards in their box when not in use or make a silk bag for them. The cards will reward you well! I found tarot card reading pretty fascinating. I even recently picked up a book and started learning it myself. In spite of the fact that 99.9% of psychics are fakes, there’s evidence to suggest that a lot of people do possess psychic abilities. The Society for Psychical Research was founded in the late 1800s by probably the most respected scientific names in England and also the United States. Interestingly, the Society fell into disrepute, not because of their methodology or the conclusions they found after exhaustive studies, but simply because they offended just about everybody. By neglecting to endorse the Spiritualist movement that was so popular at the time, they fell into disfavor with those who believed in the popular psychic scammers from the era. By openly stating they believed that there was substantial scientific evidence to support the idea of life after death and also the reality of psychic phenomena, they fell into disfavor with the skeptics.